Following the conclusions of our premission in April 2018 , CBL-ACP is proud to officially announce that it will be organizing a multisectoral economic mission to Zambia and Zimbabwe from tentatively January 19th through January 26th of 2019. We are organizing this economic mission to ensure that your business can take full advantage of the economic opportunity in these sectors. 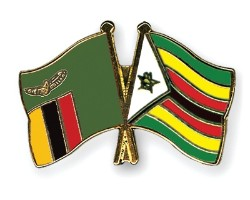 If you decide to accompany us to Zambia and Zimbabwe, you will receive genuine opportunities to have face-to-face meetings (Business to Business, Business to Government) with compatible companies and officials in Lusaka and Harare that can lead to future investments, contracts, and partnerships. We look forward to hearing from you and will be sending you more information and details in the coming weeks.